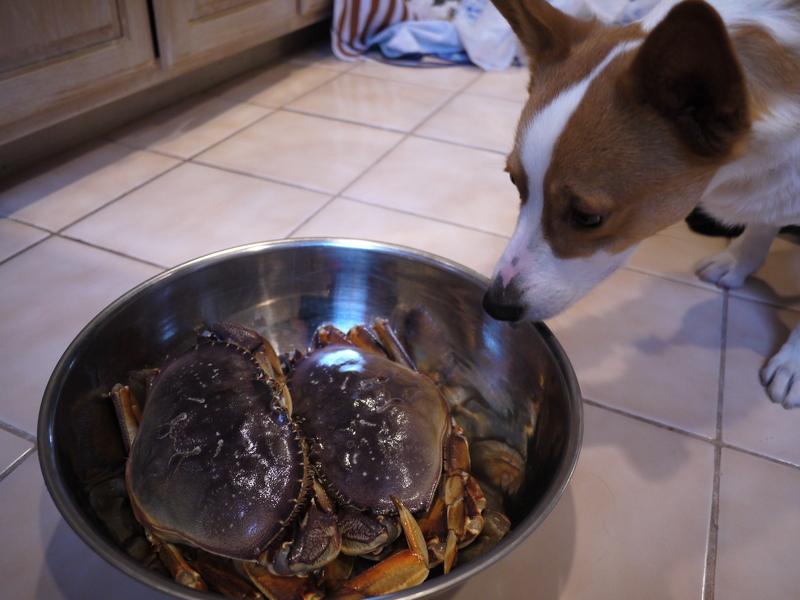 now that i’ve completely created a disgusting visual image….let’s talk about crabs, the kind that you eat. 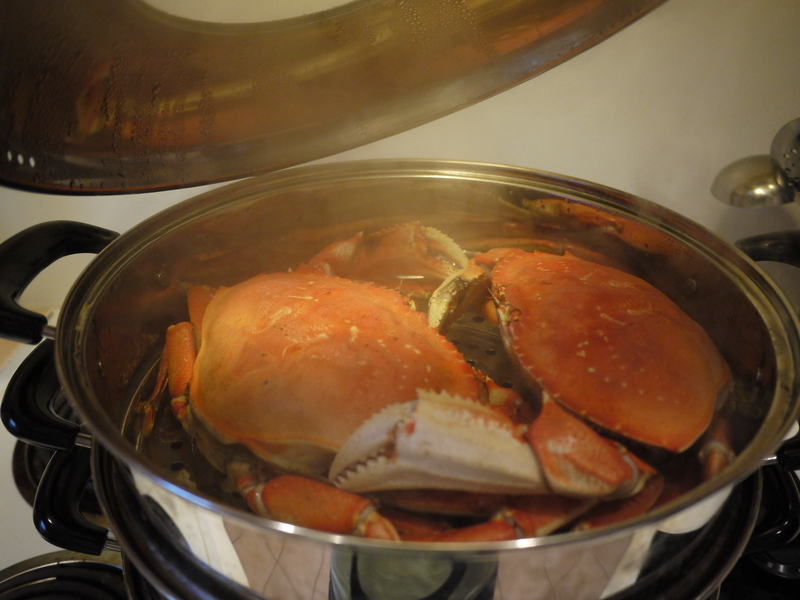 specifically, dungeness crabs. asians love crabs. (again, not that kind). 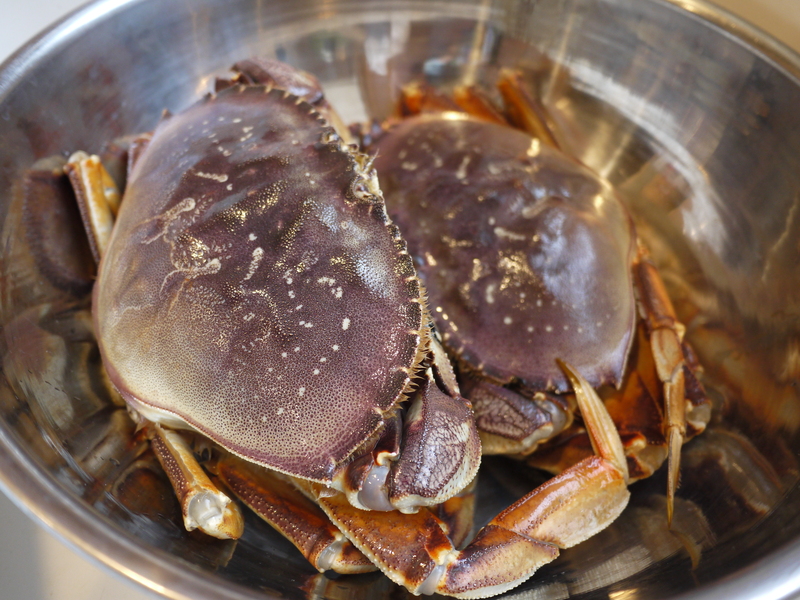 you could head out to most asian seafood banquet restaurants and order them at market price and pay $$$ for not that much meat (taking the higher ground on this one and refraining from the obvious joke), or you could buy them live at the asian grocery store for anywhere between $8-12 per pound. [actually, the best place, from a cost and time standpoint, would be tokyo one in houston – all you can eat seafood buffet for $27]. Two live medium-large size crabs (roughly 4 pounds) from Asia World Market off Legacy/75 in Plano will set you back about $36. My trip there on Christmas Eve proved that I wasn’t the only astute shopper in Plano. I had to push my way through a throng of crazies to speak with the next available fishmonger. After quite a wait, I gave him instructions to choose two crabs from the tank. Little did I know one of these crabs would be not just a delicious meal but also a dangerous foe. In theory, the meal should almost cook itself. That’s how basic it is. All you need to do is….steam them. In practice, however, we ran into one major pinch. Removing the rubber bands around their pincer claws was troublesome. 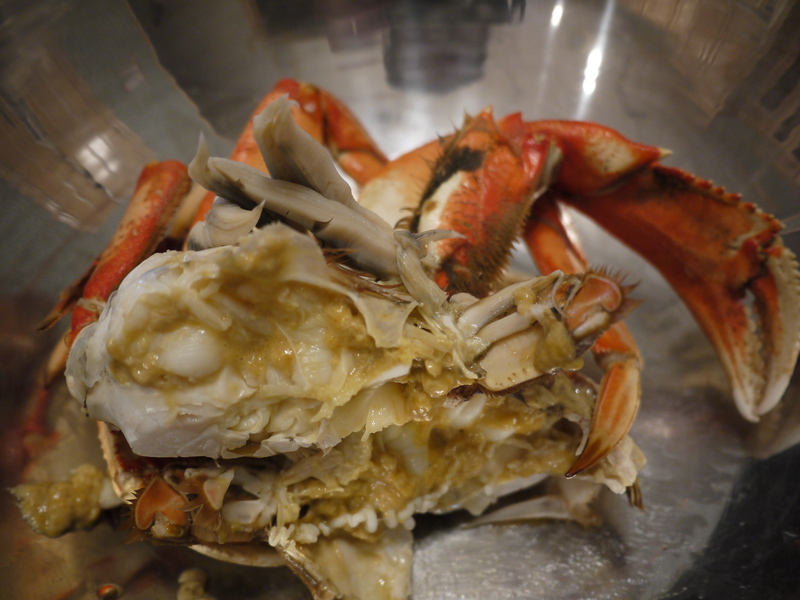 The first crab was more agreeable and didn’t put up much of a fight. After cutting the rubber bands, one at a time, I managed to remove them from underneath its armpit (? ), using just my hands (rubber gloves on for grip). Unfortunately, the second crab was a feisty little ______. After releasing him from the rubbery grip of the first band, he managed to grab (not pull) my finger. Thank God he eventually loosened his grip after 5 seconds of me screaming. That little crustacean cut through my favorite pink dishwashing gloves and cost me a week of neosporin and waterproof band-aids, and dexterity in my left pointer finger. I made a mental note to eat that little _____ first. It wasn’t until I talked to a few friends afterwards did I learn that I didn’t have to cut the rubber bands off the claws and could have steamed the crabs with the bands on. Awful awful awful lack of research on my part. FAIL. Afterwards, let them cool a little bit and dig in. No need for dipping sauce, these suckers are absolutely divine on their own. I half-heartedly apologize for the extremely immature nature of the beginning of this entry. Maturity is [sometimes] overrated. HAPPY 2012!